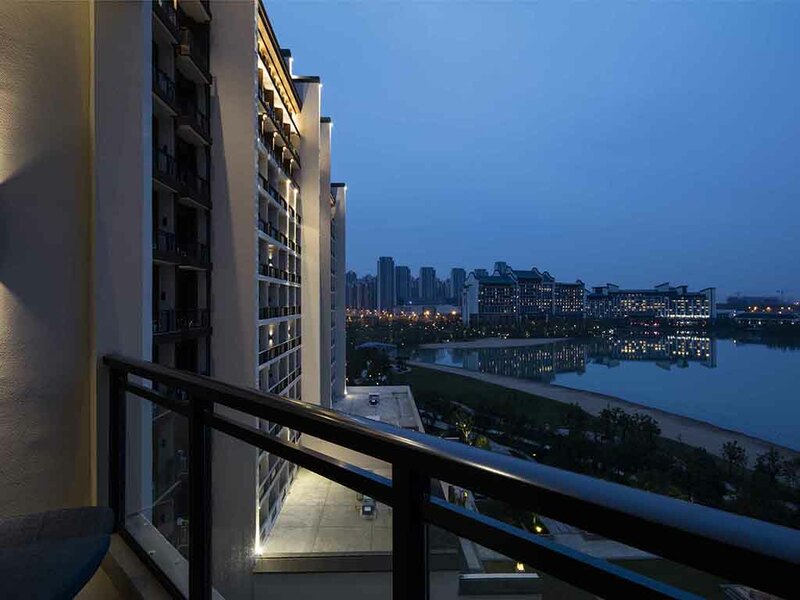 Novotel Hefei Wanda features 589 contemporary guest rooms and suites with private balcony. The vibrant restaurants and bars offer a wide choice of culinary delights. It's only 20 minutes from Hefei South Railway Station, 30 minutes from downtown and 30 minutes from Hefei Gaoxin District. Guests can experience the energy of the city or relax in the landscaped garden and private beach. Novotel Hefei Wanda Located 20 minute to Hefei south railway station,with private balconies and 1 restaurants and bars to provide a memorable experience. It also has landscaped gardens and a private beach. Perfect for business and leisure travellers. A fun and friendly All Day Dining restaurant with a large outdoor terrace. It features Asian and Western cuisine with interactive live cooking stations. Perfect for family gatherings and business meetings. Gourmet Bar is a Novotel concept bar featuring American cuisine and an extensive selection of fresh beers and cocktails.